US-based Roark Revival, affectionately known as Roark, is a revival of a bold adventurism through the eyes of an idealized figure. The brand follows “Roark” and his meandering travels, weaving his story into a timeless line of lifestyle products, T-shirts and trinkets. With Big Apple Buddy’s personal shopping service, you can now buy direct from the Roark Revival online store anytime, anywhere. The Roark Revival Savage 3-Layer Jacket is the most functional jacket from the Roark Men’s Revivalist Collection. 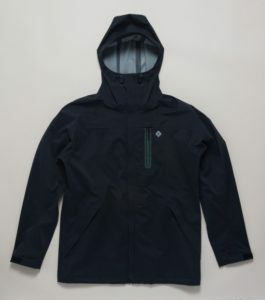 It’s 20K water proofing and 20K breathability with fully taped seams and laser welding, making it the only jacket you’ll ever need all year round. 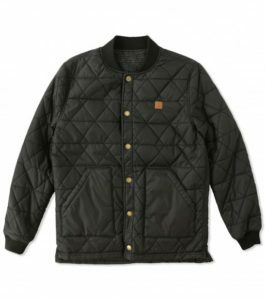 The Roark Revival “Douglas” Reversible Jacket is a bomber with a black synthetic side and grey flannel side. This jacket will keep you comfortable throughout your adventures. The Roark Revival Crux 3-Day Pack is a 25 liter, foamed backed cordura pack with an adjustable water bottle pouch, waterproof zipper detail, PV coated canvas bottom and internal laptop stow. 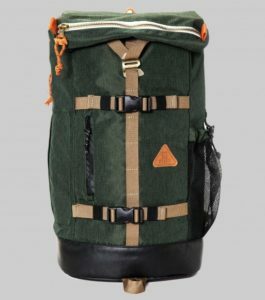 This is the perfect back pack for your next adventure or hike. Unfortunately, the USA Roark Revival online store does not currently offer international shipping. However, Big Apple Buddy, your personal shopper, can help you buy products direct from the official USA Roark Revival online store and ship them to your doorstep, no matter where you are in the world. We offer international shipping to over 110 countries including Australia, Austria, Azerbaijan, Bahrain, Belgium, British Virgin Islands, Brunei, Bulgaria, Canada, Chile, Costa Rica, Croatia, Czech Republic, Denmark, Estonia, Fiji, Finland, France, French Polynesia, Germany, Gibraltar, Greece, Greenland, Hong Kong, Hungary, Iceland, Indonesia, Ireland, Israel, Italy, Japan, Jordan, Kuwait, Latvia, Liechtenstein, Lithuania, Luxembourg, Macau, Malaysia, Maldives, Malta, Marshall Islands, Mauritius, Monaco, the Netherlands, Netherland Antilles, New Zealand, Norway, Oman, Poland, Qatar, Romania, San Marino, Saudi Arabia, Serbia and Montenegro, Seychelles, Singapore, Slovak Republic, Slovenia, Spain, South Africa, St. Lucia, Sweden, Switzerland, Taiwan, Thailand, the UAE, the UK, Vatican City, and Vietnam. If you would like to buy from the USA Roark Revival online store, simply let us know which items you would like to order (by filling out the form below) and we’ll get back to you with a free international shipping quote within 24 hours!